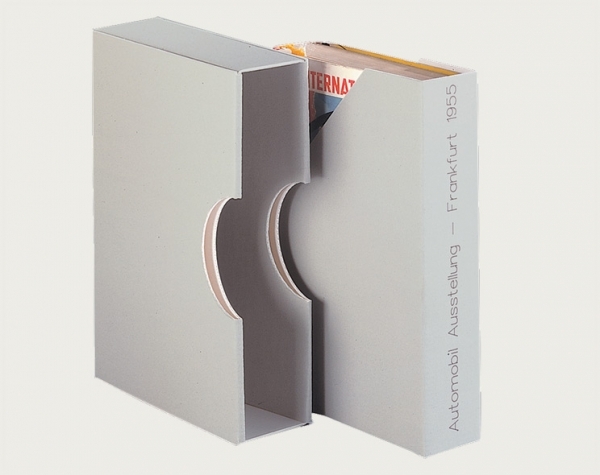 A tightly closing slipcase with shelf file, designed for storing and organizing books, brochures, magazines, newspapers and loose-leaf collections (unbound documents). It can be put on a shelf just as a placeholder to ensure that objects are shelved tightly. Also available with an additional (standing) support for loose-leaf collections. For books it can also be used as a book shoe.